There are plenty of Moog-labeled goodies deserving of special mention in our ongoing gift guide. It’s a bittersweet pleasure since we lost Bob Moog this year, but the Moog film (above) and accompanying film soundtrack are simply must-have, and a worthy gift even for those new to synths. They’re available from your local CD and video outlets, or as a set directly from Moog Music. Some criticized the Moog film for eschewing narrative and history, focusing instead on modern interviews, but perhaps that’s the most appropriate: it’s a picture of the Moog synth and legend as it lives now, as seen through the eyes of artists ranging from Keith Emerson to Stereolab. 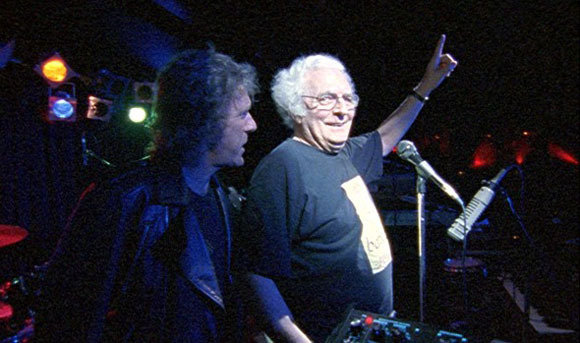 Having lost Dr. Moog, it’s all the more heartening to see the living musical legacy in action. The two-CD soundtrack is just as essential, covering a quirky journey through new Moog-made grooves on disc one, followed by the obligatory “Lucky Man” and other classics on disc two. The result is better thought of as a film soundtrack than a survey of electronic music history; if you want some history, too, throw in a copy of the CD/book set Ohm: The Early Gurus of Electronic Music.